Instruction Manuals for enlargers, analyzers, print dryers, etc. Instruction Manual for the Chromegatrol stabilized power supply and timer model 412-037. 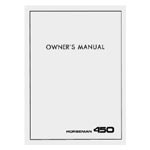 Instruction Manual for the Chromegatrol stabilized power supply and timer models #412-040 & 412-045. Instruction manual for for the Beseler Cadet 35 condenser enlarger. Instruction manual for for the Beseler Cadet II 35mm condenser enlarger. 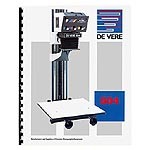 Instruction manual for Beseler Printmaker 35 and Printmaker Dichro 35 enlargers. Instruction Manual for Omega A-3 35mm condenser enlargers. Includes parts list. Instruction Manual for the Omega Custom-Lab A-6 35mm condenser enlarger. Instruction Manual for the Omega A-2 35mm condenser enlarger. Instruction Manual for Simmon Omega B-22 and B22-XL condenser enlargers. Includes parts list. Instruction Manual for Omega B-600 and Chromega B600 Dichroic enlargers. Includes parts diagrams. Instruction Manual for Omega B-66 and B66 Dichroic enlargers. Includes parts diagrams. Instruction manual for the Chromega B Dichroic Lamphouse as fitted to B-66, B-600, and B-22 enlargers. Includes parts diagrams. Instruction Manual for Omega Concept Six Condenser and Concept Six Dichroic enlargers. Includes parts diagrams. Instruction manual for Vivitar 356 dichroic color enlargers. Instruction manual for late model 67C and 67C-XL enlargers. Instruction manual for early 67C condenser enlargers as manufactured during the 1970's. Instruction manual for 67CP and 67CP2 condenser and dichroic 6x7 format enlargers. Instruction manual for for 67CS and 67CS-XL Condenser enlargers. Instruction manual for for for 67CS2-XL enlargers.